as you can see it dont come out in the rain,i do enjuy a nice blast on a sunday. 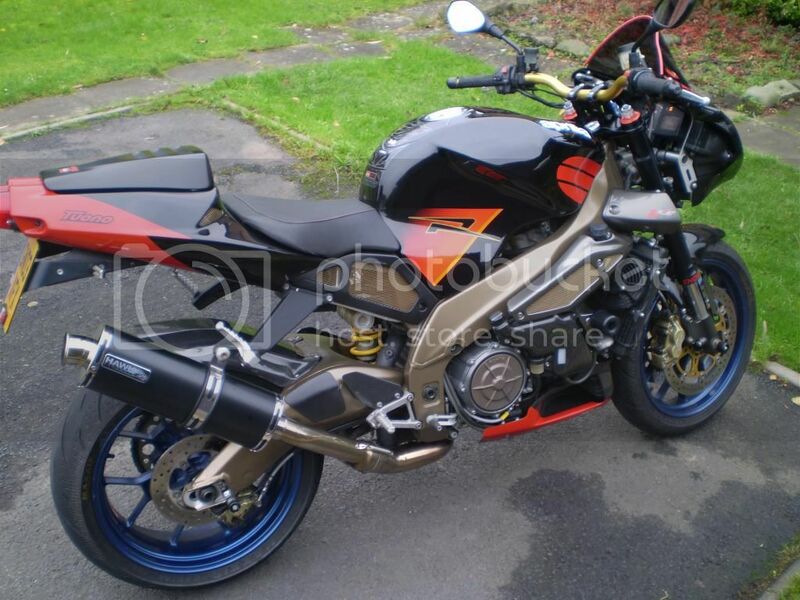 I've got a Gen 1 mate but your bike looks so much cleaner that I'm now shamed into cleaning mine top to bottom tomorrow.....that's one nice ride! Love the can on it by the way! Yes, I have put it up on ebay, but iam in two minds about selling it, I went out on it today and It rides faultless.i dont think it will sell this time of the year, and i might have change my mind come spring. 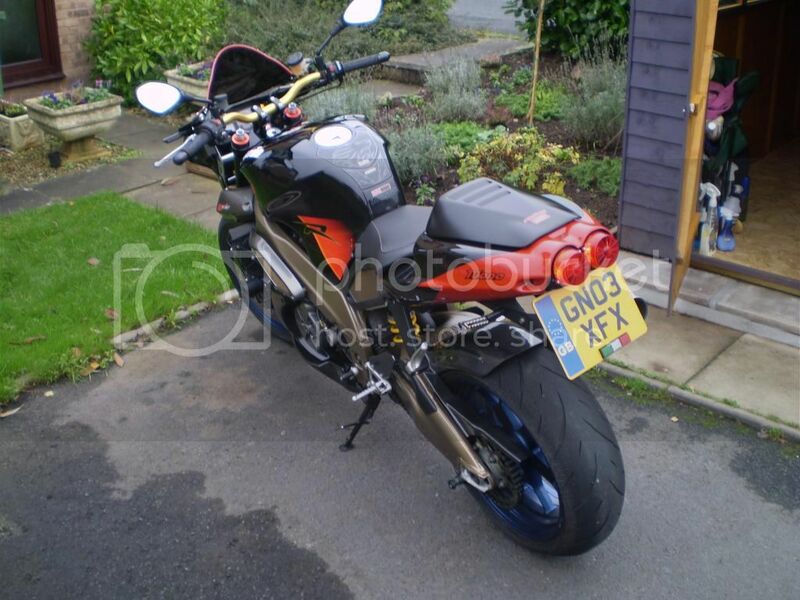 Is the pillion seat cowl the same black as the bodywork? 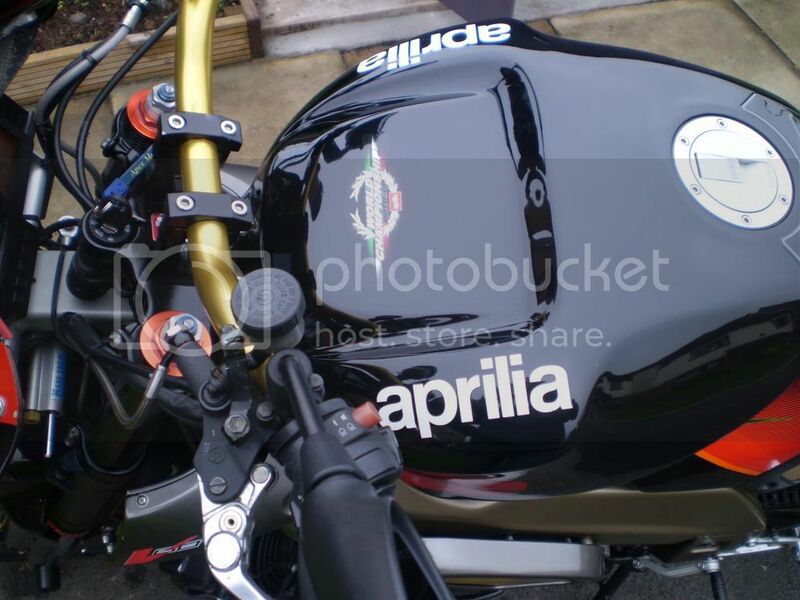 My blCk tuono came with a genuine rear cowl but its a matt black compared to fairing. I was going to get it resprayed to match but never seen another to compare. Matt black, I did think at one point of spraying it to match , but tbh I dont think it needs it.